The 2019 Great British Spring Clean Campaign, organised by Keep Britain Tidy, will take place between 22nd March - 23rd April. The Royal Sutton Coldfield Town Council wants everyone to get involved, pick up litter and recycle single-use plastic wherever possible. Last year over 370,000 volunteers joined forces at over 130,000 events across the UK to take a stand against litter. The campaign encourages volunteers, community groups and businesses to help improve the environment through targeting litter and particularly plastic waste. Litter blights the UK`s streets, parks and beaches costing UK taxpayers millions of pounds to clean up every year. Keep Britain Tidy is running the campaign to inspire people to eliminate litter now and for future generations. The aim is more than simply getting people to pick up litter. Keep Britain Tidy`s aim is to change behaviour particularly by spotlighting the problems and offering creative solutions. Keep Britain Tidy works with people, businesses, local authorities and government to educate, innovate and inspire, improving the environment on everyone`s doorstep. "Young members of 7th Sutton Coldfield Scout Group", said Mark Ellis, Group Scout Leader, "were very happy to support this event last year and will be returning this year. The kids and adults were amazed at how much rubbish we picked up last year and we all got a clear understanding of why dropping litter is so anti-social. It was good for life-learning skills and also awareness for our amazing young people from the Royal Town". In 2019 Keep Britain Tidy are calling for #LitterHeroes across the UK to help improve the environment on their doorstep. This year they are aiming to inspire 500,000 people to join forces in partnership with community organisations, businesses and government to collect and safely dispose of single-use plastic from our streets, parks and beaches, recycling as much as possible. Keep Britain Tidy wants the UK to stand together and declare that single-use plastic, which degrades the beauty of our environment and threatens to harm wildlife, is not acceptable. As in previous years Royal Sutton Coldfield Town Council is looking for individuals, community groups and businesses across the town to support the campaign and to help Royal Sutton Coldfield be a cleaner, greener, safer and inclusive place in which to live, work and enjoy life. The Great British Spring Clean is organised by Keep Britain Tidy in partnership with the Daily Mail with the headline sponsor Wilko and supported by players of People`s Postcode Lottery and the Postcode Green Trust. Keep Britain Tidy is a registered charity that was founded in 1954 when the National Federation of Women`s Institutes passed a resolution to "Keep Britain Tidy" and the rest, as they say, is history. If you, your community group or business would like to take part, the Town Council would like to hear from you. 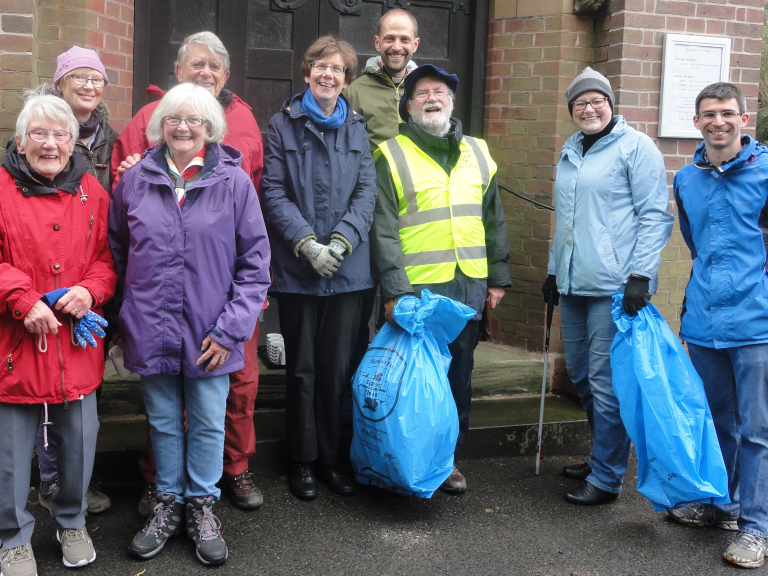 The Town Council will provide litter pickers, gloves and bags on the day.